Location | Marsha McDonough, Ph. 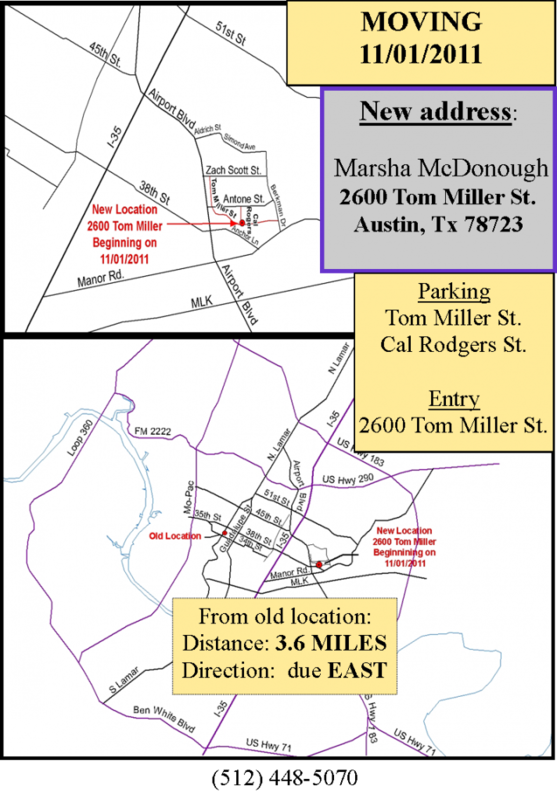 D.
Address: 2600 Tom Miller, Austin, Texas 78723. Park on either Tom Miller Street or Cal Rodgers Street. Enter by covered porch and follow directions at front door for entry into the building. Waiting room and office are upstairs. Here is a map to my office. To see a Google map, click here.